Participants will be enrolled in the program at no cost to them. There will be 15 candidates in each Hub or serial for a five month period, mentorship and coaching will be provided for twelve months. In our present model, we are planning the delivery across Canada of 12 serials per year of 15 women per group. 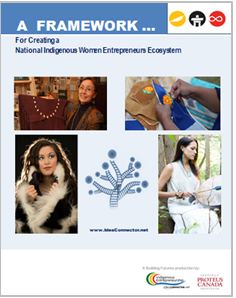 All “Hubs” will be connected in a national collaborative network forming the National Indigenous Women Entrepreneurs Ecosystem. 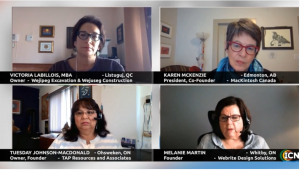 This program is a destination program aimed at increasing the number of Indigenous women in business and in supporting those interested in launching their business and to increase Indigenous women capabilities to access leadership positions. 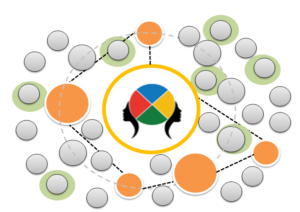 In addition to providing networking opportunities the program will enable the transfer of knowledge through local workshops, online workshops, self-directed on line learning, online webinars, simulations- experiential to-do, coaching and mentorship.